Two or so years ago I was gifted a copy of a brand new fly fishing book to review on this blog. I had a cross-country flight ahead of me, so I thought it was going to be the perfect opportunity to read the book from cover to cover and do a short write up... Well, things didn't go exactly as planned and I actually misplaced the copy for quite some time. 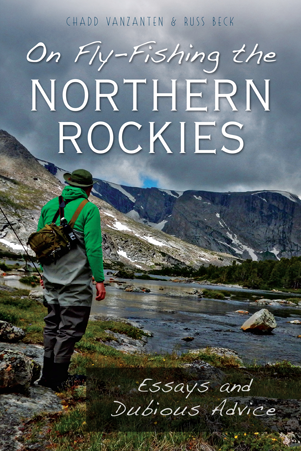 Despite its title, On Fly Fishing The Northern Rockies - Essays and Dubious Advice, is not really a book about fishing the western United States. If you're looking for technical fishing instruction or info on secret streams or honey holes of the Rockies, you're not going to find them here. Rather, this book was written by two fly fishing friends (Chadd VanZanten & Russ Beck) that explore many of the trials and tribulations that anglers find on the water through first-hand accounts, interesting interpretations, and practical advice. In many ways, you'll find this book very relatable and familiar, and on some pages, you may even note that the messages transcend fishing. The book is presented in a series of nine "Rules," which I guess could be considered chapters. Each rule contains a few short stories, typically alternating between the two authors. One of the most pleasant aspects in consuming the various stories was that while they were all interconnected by common themes within the chapter, they could also be taken individually on their own merit. They are small bites, easy to read without concern of losing your spot should you need to put the book down. While the book covers many topics, one of the themes that appear to be developed in multiple sections is that of student & teacher / the accumulation of knowledge. We see this in several places - as when we are first introduced to Russ, it is in the context of being a fly fishing "newbie" whose friendship with a more-seasoned Chadd is one of seeking mentorship. You also meet their friend Brad, a fishing savant who over time learns to find contentedness, happiness, and himself. And, well, I won't spoil the rest. I should probably mention that while the themes I referenced above may sound like they would make for some dull content, it's not. It's actually quite the opposite; in most cases it's funny. Damn funny. Each author approaches their topics with different styles of humor. Whether they were totally intentional or not, I found Chadd's sly and dry commentaries extremely entertaining, a nice compliment to Russ' more commonly taken path of self-depreciation. Either way, it was hard not to grin while reading the various "rules" knowing you've had a similar fishing experience along the way. Something I didn't necessarily expect (and was pleasantly surprised to see) were the various references to tenkara fishing. 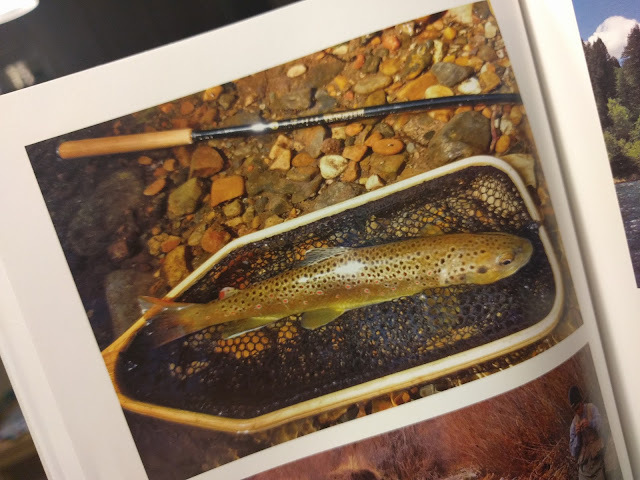 Nothing over the top, but as a tenkara "practitioner" it was nice to see the t-word mentioned occasionally by both authors when discussing some of their small stream fishing opportunities. In the end, I'd highly recommend this book to anyone that's picked up a fly rod. Don't get hung up by the Northern Rockies reference in the title, these humorous stories transcend location and will be extremely well received (even if it takes you two years to get around to reading them, which I doubt). On Fly-Fishing The Northern Rockies- Essays and Dubious Advice can be purchased at the publisher's website: The History Press, as well as that popular shopping website named after a really large South American river. You know the one. The copy of "On Fly-Fishing The Northern Rockies - Essays and Dubious Advice" featured in this product review was provided to me at no cost but carries a suggested retail price of $19.99. I currently hold no association with the authors, but if they want to go tenkara fishing with me out in Utah someday, I'm game. Just not in the Winter, screw that. (Read the book, you'll understand what I mean). Thanks Howard, it was a fun read. I think any angler would enjoy it.